This week at the GPU Technology Conference in San Jose, Calif., NVIDIA launched its revamped automotive developer program for the DRIVE Development Platform. 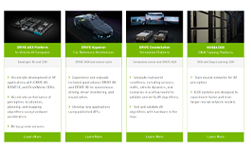 Coinciding with the introduction of the NVIDIA DRIVE AP2X full-stack software solution, the NVIDIA DRIVE Developer program introduces autonomous vehicle (AV) developers to the end-to-end DRIVE Platform. These innovative autonomous solutions span from the data center to the car. In the data center, NVIDIA DGX makes it possible to train deep neural networks (DNN) for AV perception, and NVIDIA DRIVE Constellation simulation platform enables software and hardware-in-the-loop testing and validation. In-vehicle, the DRIVE AGX Xavier and DRIVE AGX Pegasus platforms run the algorithms as part of the DRIVE Hyperion reference architecture. Other data-center resources include systems for data collection, labeling, and training of DNNs to develop custom solutions. These platforms include comprehensive software development kits comprised of development tools, expansive samples which include DNNs, and hands-on tutorials. The DRIVE Hyperion reference architecture includes DRIVE AGX Pegasus, a full suite of sensors (cameras, radars, IMU), and the complete DRIVE Software stack (DriveWorks, DRIVE AV, and DRIVE IX) to build and test Level 2+ automated driving applications. It allows developers to focus on deploying AVs as quickly as possible by taking advantage of the full breadth of the DRIVE Platform. DRIVE Hyperion can be used in key markets around the world, including China. The DRIVE developer site provides all the necessary documentation, as well as hardware installation videos for both the DRIVE AGX Developer Kit and DRIVE Hyperion. The newly announced DRIVE Software 9.0 expands on the DRIVE open and flexible platform. Manufacturers can implement the entire solution, or leverage modules to combine with their software and build their own applications. It’s also scalable, laying a robust foundation for DRIVE partners to bring their autonomous driving technology to production. The DRIVE developer program also provides information on DRIVE Constellation and DRIVE Sim AV simulation and validation platform. Developers can also find details on the NVIDIA Self-Driving Safety Safety Report. 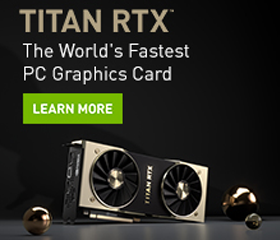 The DRIVE Developer program connects you to a community of more than one million developers on various NVIDIA platforms, including several thousand AV developers. Whether you are an automotive manufacturer, supplier, or AV startup, the DRIVE developer program provides all the resources and sample applications to get you up and running. Join the NVIDIA DRIVE developer program and get access to the latest technology from NVIDIA, be notified of developer-specific events and activities, and the opportunity to submit issues or requests for features to NVIDIA engineering. This engagement gives us a deeper understanding of the needs of the developer community to deliver better solutions.